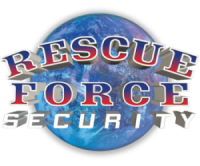 For more than two decades, Rescue Force Security has been delivering innovative security solutions to the community, spanning retail, healthcare, hospitality, private business, manufacturing industries, and family homes. Our growth in the industry is founded on delivering individual security designs and cutting edge technologies, developed and tested by our team of highly skilled engineers and technicians at the first class facilities at our Melbourne headquarters. Rescue Force Security understands that the security of people, property and assets is a vital service to the community. Since the 1990s we have gained a national reputation based on our ethical business practices focused on honesty and trust. These is a selection of client installations that showcase the type of work that we do.